First of all, what is an open floor plan? A home with this layout has one common larger room, in some cases the combination of the kitchen, living and dining room areas. Here are our top 3 advantages to open plan living. 1. Open floor plans encourage the integration of everyday living. If there is someone cooking or cleaning in the kitchen they are able to watch tv or converse with others in the living room. 2. Less walls to separate rooms means the greater the ability to benefit from natural sunlight. 3. Open plan floors offer the illusion of more space as there are less confined areas. 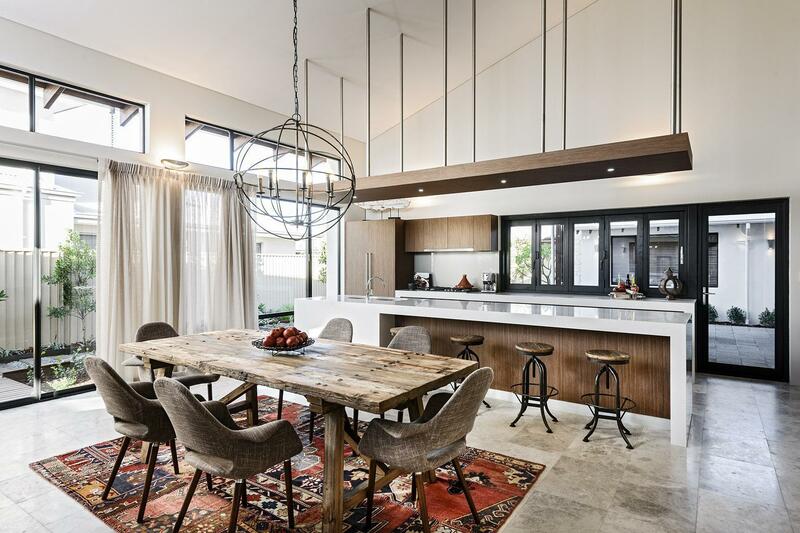 A larger floor area combined with higher ceilings can be perfect for those that enjoy open spaces.